Step aside United: There’s a new, less stressful, airline in the skies serving up a dose of goodness. 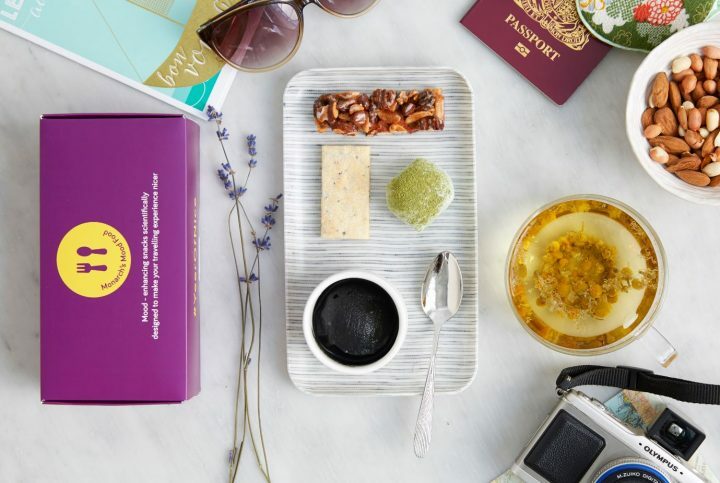 Monarch has become the first in the world to create an in-flight ‘mood food’ menu they claim is ‘guaranteed’ to take the stress out of flying, one tasty morsel at a time. The cuisine is the brainchild of Oxford University’s food psychologist professor, Charles Spence, the man behind Heston Blumenthal’s science-inspired dishes at The Fat Duck. He’s now taken his genius to the skies with this vibrant selection of bites and brews, created for Monarch as part of their ‘Year of Nice’. The taste explosions begin prior to take off with black echinacea – which fights the symptoms of coughs and colds – and liquorice ice cream, a foodstuff known for its anti-inflammatory qualities and ability to boost the immune system. Other people’s germs safely warded off, green tea and lavender mochi rice cakes will help flyers relax during the ascent. 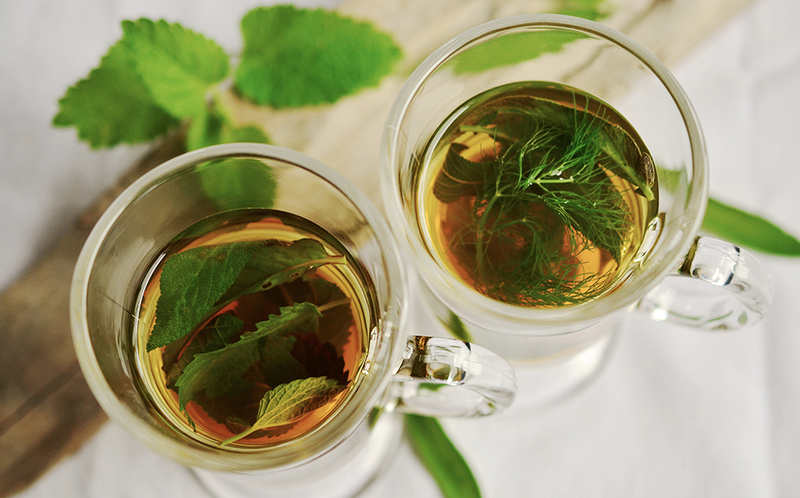 Around 30 minutes into the flight, the experimental assortment will be washed down by a herbal tea blend of chamomile, fennel seed and kelp which, accompanied by a crunchy, seaweed biscuit is said to help combat bloating and indigestion. Finally, passengers will enjoy a sweet caramelised nut bar – coated in umami rich mushroom and tomato powder – just before they touch down. Spence chose umami because it improves our perception of taste – which can be affected by reduced air pressure, dry cabin air and engine noise. The black colour [ice cream] is certainly counter-intuitive – most passengers think of white or pale colours with ice cream. This may also help to distract passengers from their chaotic journey while also surprising them and playing into childlike nostalgia. Whilst flavour and ingredients are key, texture also plays a part in modifying mood states – the soft, chewy texture of the rice [mochi rice cake] encourages mastication – which has proven anti-stress properties. The chewy rice snack has therefore been designed to help reduce passenger stress on aeroplanes. Reduced air pressure, dry cabin air, and engine noise all inhibit taste perception, but umami [nut bar] is the only one of the basic tastes that manages to cut through these barriers, which is why so many passengers order a tomato juice or Bloody Mary’s on-board. Using umami tastes alongside our other flavour combinations will be comforting and satisfying for passengers. The menu was created after a study of 2,000 Brits by the low-cost flight and holiday company, revealed 72 per cent of us find holiday travelling stressful. A third of passengers surveyed admitted they didn’t relax until at least day three of their holiday. Three out of five holiday-goers agreed good food is more likely to lift spirits when on annual leave with nearly one quarter agreeing poor food can put a dampner on a trip away. The study also revealed the top ten holiday mood killers – the stress of travel appeared, along with bad weather, family arguments and a lack of food options at the airport. 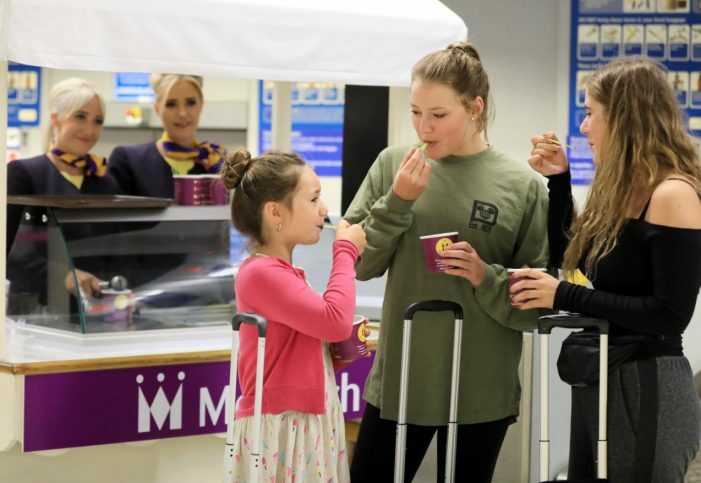 We know how precious time on holiday is, so we are delighted to be able to listen to our customers’ needs and trial the Monarch ‘Mood Food’ box this summer – enabling more people to relax, feel good and start enjoying their holiday from the moment they get to the gate. 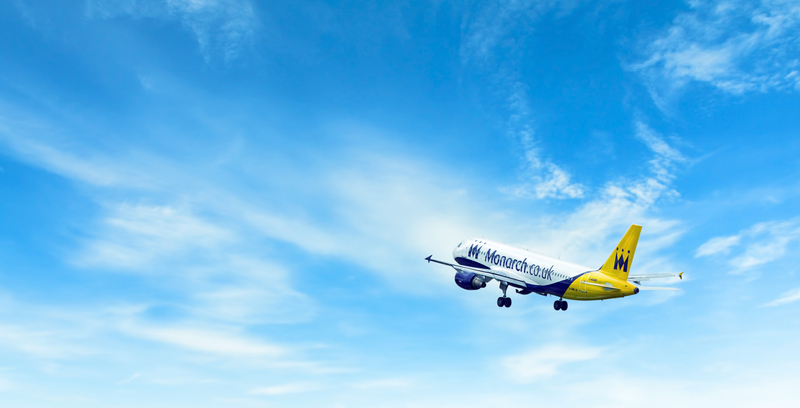 We’re always looking at ways to innovate and improve the service we provide, so it will be interesting to see how Monarch’s Mood Food Box is received. Airline food has progressed significantly over the last few years so there’s no reason why, in the future, airline menus can combine flavour with more scientific combinations of ingredients making passengers happier, healthier and more relaxed. I think most people would be happier to have this placed on their tray table than the usual display of beige slop. Anything to help block out the encroaching claustrophobia, the screaming child next to you and that strange lingering smell.